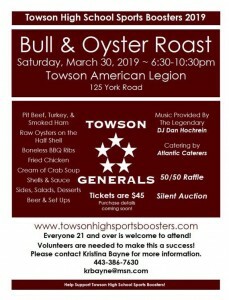 The Towson High School Sports Boosters Bull and Oyster Roast will take place Saturday, March 30th at the Towson American Legion Hall (125 York Road) starting at 6:30pm. 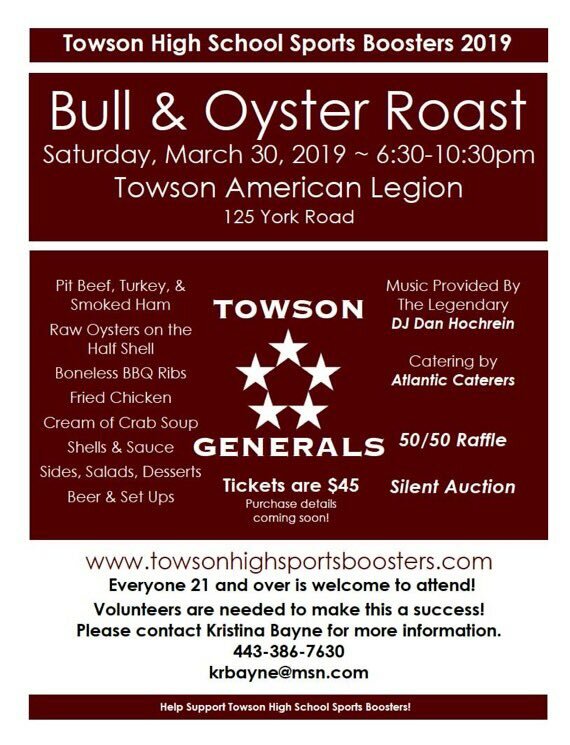 With over 400 people in attendance last year, tickets are sure to go fast. We look forward to seeing you there, and we appreciate your support.